Office Location: Sofia, Bulgaria. Employees can also work full time from this office. 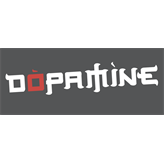 We invite you at Dopamine, a software company making immersive online casino games&gaming platforms. Bringing fun to billions of people worldwide is not a job, but a life mission. That’s why we are looking for dedicated people like yourself, to help us recreate our vision of the best and most user-friendly online betting experience in the world.